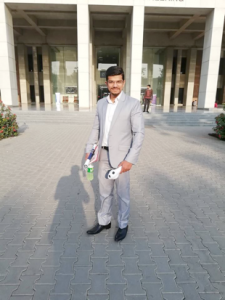 From the first batch of graduates of the National Incubation Center Lahore, Faaiz Arbab, a student in the electrical engineering graduate program at Lahore University of Management Sciences’ (LUMS) urbanized a voice-operated smart wheelchair called GOBEE. AYECo. is the first and only manufacturing company in Pakistan producing Smart Wheelchairs and assisted devices. Their wheelchairs can be operated from a mobile application and relives the user from relying on any physical attendant for movement. AYECo. is also working on other assisted devices. Taking his successful, useful and progressive start-up a step further; AYECo. Is now introducing smart canes for the visually impaired. Smart Cane is an electronic device to help people with visual disability to find a path without hitting obstacles. Low vision and blindness are important public health problems. People with visual impairment usually need support and assistance unless they get vision rehabilitation with the provision of low vision devices, orientation and mobility training and counseling for making specific modifications in their living environment for proper adaptation towards performing day to day activities and social integration. Most electrical low vision devices cost an arm and a leg, and that is the primary reason why the poor in Pakistan cannot afford it. The average cost of an imported blind man stick is almost $400. 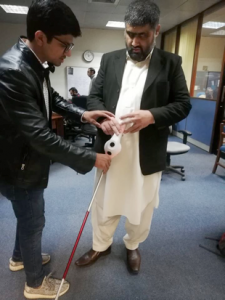 According to the Journal of Pakistan Medical Association (JPMA), there are 2 million people in Pakistan, who are visually impaired and almost 1.7 million of them are not affording a cane which costs $400. We live in an amazing time in terms of finding technological solutions for people who have lost their sight. Each day seems to bring a new medical or electronic solution, making the world more accessible for physically impaired. AYECo. 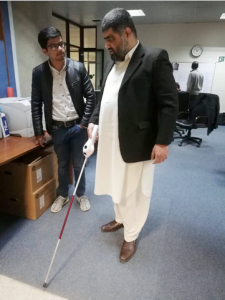 Is researching on electronic blind man canes for the blind community of Pakistan. The start-up intends to produce a smart, effective cane which will cost no more than $50. 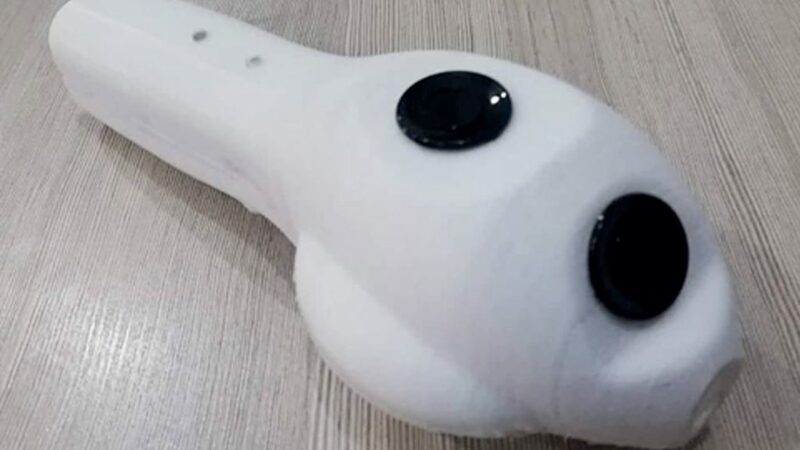 After struggling with and manufacturing multiple prototypes of the Smart Cane made, the start-up has finally perfect their product. The first prototype was not fold-able and demonstrated difficult vibration pattern. 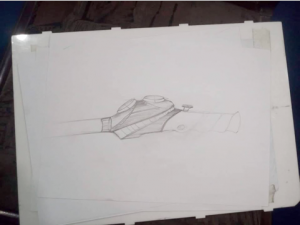 The second prototype was modified and made a compact remote with the electronic circuitry embedded in it. 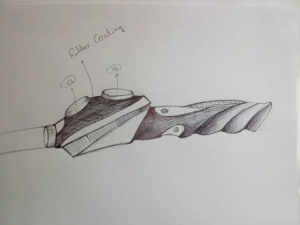 In this way, Smart Cane become a fold-able device. The Smart Cane has a rechargeable battery and can easily attach a white cane to it. AYECo. 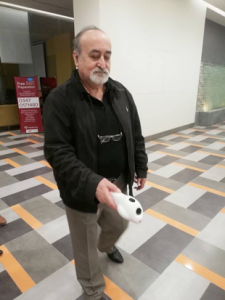 intends to launch the Smart Cane in Pakistan. Their aim is to provide cheap technological solutions for assistive devices in Pakistan. 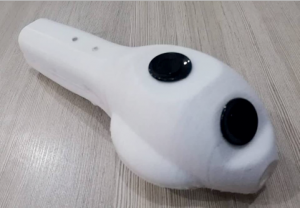 They wish to make Smart Cane more compact and connect it with smartphones so that it can help the visually impaired navigate with ease. We wish the team at AYECo. The very best of luck as they improve the lifestyle of the physically impaired in Pakistan, one futuristic product at a time. NIC Lahore aims to build a comprehensive entrepreneurial ecosystem, with LUMS at its epicentre, that brings together everything and everyone required to maximize the growth potential of Pakistani entrepreneurs.